Harley Street Registrars Limited is highly experienced and well-established with over 800 companies already using our watertight services. 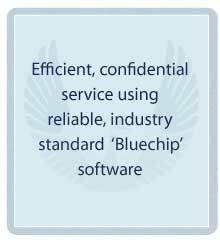 Our proven business function is IT-facilitated using the industry standard 'Blueprint' software system. This reduces human interface and enables us to put all company records onto our finely tuned, highly confidential database. Added-value system development allows high volumes and accuracy, and reduces client claims, fines, reminders plus direct and indirect staff costs. Relevant letters, forms, minutes and resolutions, invoices and reports (as well as more specialised services such as compliance diary services for Annual Returns and client reminder letters for Annual Accounts), dormant accounts and dividend voucher services can then be taken care of automatically. 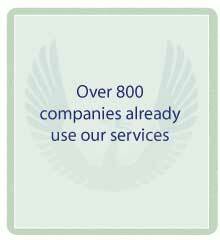 We provide a high quality and accurate service which benefits you and your clients alike. We also offer an own labelling option so that you can over-brand the service that we provide to you as if it's your own. This enables you to maintain control over your clients whilst, at the same time, providing you with readily available information so that you can deal with more clients more efficiently and accurately. Should you wish to have on-line access to your clients data then this can be arranged for you by using a hosted client service offered by our software provider ICSA Software International.